Kimberly has dual Canadian/U.S. citizenship, and is fluent in English, French, and Spanish. Four-time President’s Club winner for outstanding achievement and leadership. 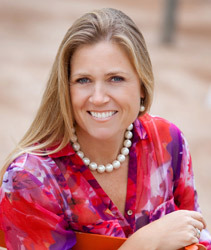 Kimberly Zanatta founded Genius Road in 2010 to bring a boutique experience to technical, telecom and executive recruiting. Through hard work, dedication and by providing a more personal approach to the complex business of talent acquisition, she’s made Genius Road the go-to partner for companies worldwide. Zanatta began her career in the corporate and commercial banking industry in Canada, facilitating transitions for new and restructuring organizations. She earned her stripes in recruiting shortly after relocating to the U.S. to work as an account manager for a global staffing and consulting firm. After building two large, very visible clients from the ground up, she was quickly promoted to director of national accounts, responsible for a team of 12 and for servicing the company’s most valuable clientele. Throughout her tenure, Zanatta and her team achieved numerous vendor honors, including a Fortune 50 client’s annual “Customer Service Award,” an accolade so significant that it was written up in The Wall Street Journal. Although her success was undeniable, so was her entrepreneurial spirit and dogged belief that she could build a different kind of recruiting firm. So, she resigned from her position, and after adhering to a strict non-compete agreement, Zanatta opened Genius Road.